Not exclusively sold by the "Maasai" these vibrant, colourful markets sell mainly fare ranging from wooden sculptures, beaded necklaces, batik wall hangings, shoes, soap stone carvings, sisal bags, kikois, textiles and a whole host of other exciting goods. All items are Kenyan and the range of goods on offer is impressive. 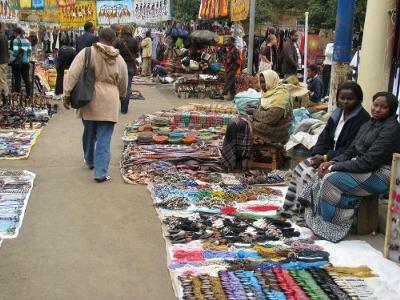 *Tuesday Maasai Market is located on the upper floor car park at the Westgate Shopping Centre in Westlands, Nairobi. *Fridays on the upper car park at the Village Market. 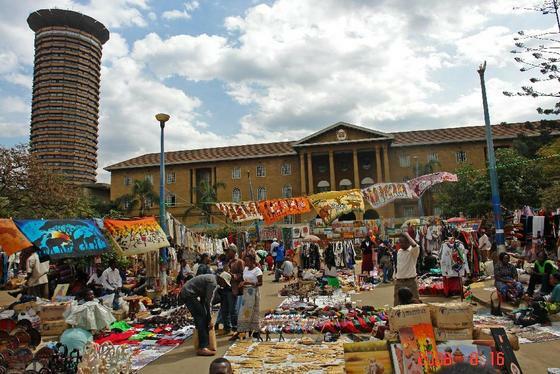 Masai Market vendors at the High Court Parking. 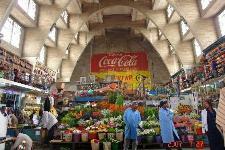 The covered City Market is situated on Muindi Mbingu Street, right in the centre of the town. It offers cheap and fresh fruits and vegetables on a daily basis. On the rear side of it there is small corridor where one can buy attractive handicraft made souvenirs. They are many located in the city centre and in the outskirts where you can buy almost everything under one roof. *Nakumart Supermarkets - the largest departmental store chain in Kenya with branches in the city centre and in the outskirts.